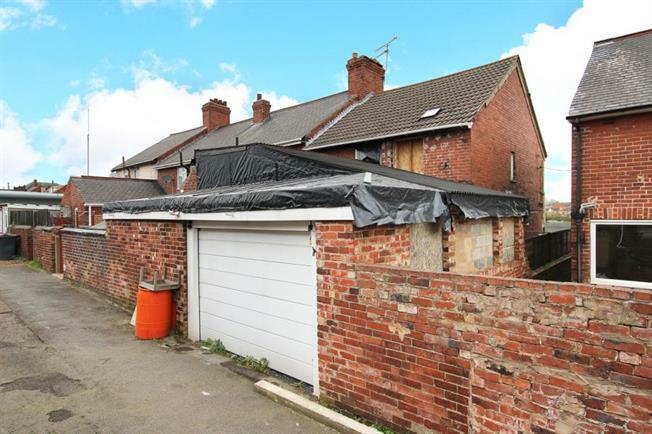 3 Bedroom Terraced House For Sale in Rotherham for £35,000. Blundells are now in receipt of an offer for the sum of 62,000 for 8 Sandy Lane. Anyone wishing to place an offer on this property should contact Blundells, Rotherham on 01709 310336, before exchange of contracts. Offered for sale with no chain involved is this three bedroom mid terrace home. Giving access to local amenities and transport links. Elevated from pavement level and overlooking the green to the front. The property requires upgrading and in brief comprises of entrance hall with stairs to first floor. Lounge having French style doors to front garden. Dining kitchen with store cupboard and access to bathroom. Family bathroom having double sinks, corner bath and W.C with utility room leading off. From kitchen there is access to play room, cinema room and storage area. First floor landing three bedrooms and store room. Outside garden area to the front.